Dr. Savita Halappanavar (née Savita Andanappa Yalagi; 9 September 1981 – 28 October 2012) was an Indian woman, living in Ireland, whose death led to the passing of the Protection of Life During Pregnancy Act 2013. Medical staff at University Hospital Galway denied her request for an abortion following an incomplete miscarriage on the grounds that granting her request would be illegal under Irish law, ultimately resulting in her death from septic miscarriage. Since her death, access to abortion services in the Republic of Ireland has improved dramatically, most notably with the passing of the Health (Regulation of Termination of Pregnancy) Act 2018, which repealed the Eighth Amendment of the Constitution of Ireland. After her death, a Coroner's Inquest was held, finding that she died of medical misadventure. The HSE and HIQA conducted an investigation. Both criticized the team for not diagnosing the sepsis soon enough and for not using already-standard screening tools for detecting and managing maternal sepsis, and for poor keeping of medical records, poor communication at shift changes, and failure to notify staff with needed expertise, and criticized the administration of the hospital for the poor system in which the team failed. They made recommendations about training and policies for the hospital locally along with a number of national recommendations, including the creation of a laboratory system to coordinate a national response to emerging microbial threats. The HSE also recommended changes to the legal situation and training of doctors about the law. The law in force at the time stated that the act of abortion, where there was no immediate physiological threat to the woman's life to continue the pregnancy, was a criminal offence punishable by life imprisonment. Following a ruling of the Supreme Court of Ireland in 1992—now known in Ireland as the X case—terminations are allowed under certain circumstances, where "a pregnant woman's life is at risk because of pregnancy, including the risk of suicide". However at the time of Halappanavar's death, there was legal uncertainty regarding the precise circumstances in which this exception to preserve the life of the mother would apply in practice, as the matter had not yet been enacted in legislation. On 3 November 2012, friends and family of the Halappanavars contacted local pro-choice groups (Galway Pro-Choice) to find out what they could do, with dozens of her friends and family meeting in person on the 6th. Galway Pro-Choice put them in contact with The Irish Times journalist Kitty Holland, on 7 November. Pro-choice groups then organised on the Irish Choice Network (ICN) email group before the story broke. Halappanavar's death became public after the Tonight with Vincent Browne programme showed front-page stories by The Irish Times and the Irish Independent newspapers on 13 November 2012. This resulted in the news being disseminated on Twitter, including tweets by journalists Caitlin Moran and India Knight, and coverage by publications such as BBC News, the British edition of The Huffington Post, The Guardian, The Daily Telegraph, Daily Mirror, and The Independent newspapers. On 14 November 2012, more than 2,000 people gathered in her memory and to protest Ireland's abortion laws outside the Dáil in Dublin. In addition, a candle-light vigil was held in Cork. The government's expert committee in abortion, to address the A, B and C v Ireland judgement, handed in its report to the Department of Health the evening before the news story broke. Halappanavar's death led to protests in Galway, particularly from the local Indian expatriate community. On 14 November The Daily Mirror reported that the University Hospital was the subject of several investigations. Halappanavar had been one of the organisers of the annual Galway Diwali festival, which was cancelled in response to her death. There were calls upon the Taoiseach to secure an external enquiry into the circumstances surrounding Halappanavar's death. There were also calls for a change in the law, as the legislation at the time was an Act of the British Parliament of 1861—when Ireland was still part of the United Kingdom —which declared that it was unlawful to "procure a miscarriage". On 16 November, the Irish Health Service Executive established an independent inquiry into the circumstances surrounding Halappanavar's death. On Saturday 17 November, the Garda Síochána (Ireland's national police) estimated that between ten and twelve thousand protesters marched from Parnell Square to Merrion Square to demand a change in the law, whilst other rallies were also held across Ireland and in many other countries abroad. On the same day, the Gardaí announced that they were assisting the coroner in the investigation into the death of Halappanavar. Medical terminations had previously been performed at the University Hospital when complications arose in pregnancy, as it is permitted by Irish law to save the life of the woman. In an opinion piece in the Daily Mail, Paul Bracchi speculated that an investigation would be carried out into why this did not occur in Halappanavar's case. On Monday, 19 November, the Roman Catholic Bishops of Ireland met in response to Halappanavar's death and released a statement that the Catholic Church believes in the "equal and inalienable right to life of a mother and her unborn child" and that the Church has never taught that the life of an unborn child takes precedence over the mother. Eilis O'Hanlon stated that in its initial coverage, The Irish Times had "opted to present what had happened as a simple morality tale" and that "the debate for the rest of the week was coloured entirely by The Irish Times's decision to reduce a complex personal tragedy, about which few facts were still known, to a rallying call." An analysis in The Irish Times on 17 November stated: "There is much we do not know about the medical care Savita Halappanavar received" and "even before the full facts are established Ms Halappanavar’s tragedy has generated much national and international coverage" in both traditional and social media of which much has been "careful and sympathetic" but "much ... has been intemperate, intolerant and politicised." The staff of University Hospital as well as members of Ireland's Health Services Executive (HSE) Regional Health Forum stated that there is no "Catholic ethos" that is impacting treatment provided. Dr Sam Coulter-Smith, a consultant in obstetrics and gynaecology and a university master in the Rotunda Hospital, one of the largest maternity hospitals in Ireland, said that it would be preferable to introduce legislation to bring in clarity, saying, "We really do need legislation in this area, otherwise we're going to be at risk of doctors working outside the law, and that's not appropriate." Dr Rhona Mahony, Master of the National Maternity Hospital, said: "It is very disappointing that, 20 years after the 'X-Case', we don't have legislation" and that women "need to know that they are going to get the appropriate health care that they need" while doctors "need to know that they are also protected in their ability to do their job." Peter Boylan, of the Irish Institute of Obstetricians and Gynecologists, said: "The current situation is like a sword of Damocles hanging over us. If we do something with a good intention, but it turns out to be illegal, the consequences are extremely serious for medical practitioners." Microbiologist Dr. James Clair stated that the "main problem is being missed" in the case, suggesting that the real issue may be that the septicemia was caused by extended-spectrum beta-lactamase positive gram negative bacteria (ESBL), which "are now spreading rapidly within the Irish population" and are resistant to many known antibiotic treatments. A week after the story broke, while the investigations were still ongoing, Taoiseach Enda Kenny stated: "I don't think we should say anything about this until we are in possession of all the facts." Prior to publication of the reports, the Minister for Health, James Reilly, said that the public must not pre-judge the situation and further said that he was awaiting the results of the investigations, adding he had no evidence to suggest a so-called "Catholic ethos" at the University Hospital that prevented Halappanavar's life from being saved by a medical termination. He also stated that an inquiry into Halappanavar's death must stand up to international scrutiny. Brian Walsh, a Fine Gael TD for Galway West, said that Galway University Hospital had carried out terminations in recent years in accordance with the judgement by the Supreme Court in the X case and with the guidelines of the Irish Medical Council. He said that the University Hospital was not run or managed by any [Catholic] religious orders and did not have a so-called "Catholic ethos". Fianna Fáil leader Micheál Martin said that Halappanavar's death was tragic and harrowing. Martin said that Ireland had always aimed for a low death rate during pregnancy but that this was "cold comfort" to Halappanavar and her surviving family and relatives. He said that an independent inquiry was needed, with experts from outside the country to establish the full circumstances. He also responded on 17 November, saying that "legislating for the X case would not have stopped [the death of Savita Halappanavar]". On 18 December 2012, after a panel of experts submitted its report to the Parliament recommending "the government legislate the issue in order to clarify what the current laws actually do and do not permit", Ireland's then Minister of Health, James Reilly, stated "We will clarify in legislation and regulation what is available by way of treatment to a woman when a pregnancy gives rise to a threat to a woman’s life." Pro-choice campaigners highlighted at the time that the lack of legislation clarifying the limited circumstances in which abortion is legal in Ireland contributed to Halappanavar's death. Several rallies and vigils were organised nationwide, calling for the Irish government to legislate in relation to abortion on the basis of the Attorney General v. X. Campaigners argued that legislation remained outstanding at the time of Halappanavar's death despite the European Court of Human Rights having instructed the state to clarify its laws on abortion after finding in A, B and C v Ireland (2010) that the Republic of Ireland had violated the Convention by failing to provide an accessible and effective procedure by which a woman can have established whether she qualifies for a legal abortion under current Irish law. Irish Choice Network allegedly emailed members, calling for an emergency meeting to discuss how to proceed with this "major news story". In response to critics accusing pro-choice activists of exploiting Halappanavar's death, Kate Smurthwaite responded in a column in The Huffington Post titled "Yes, Savita Halappanavar's Death IS a Political Issue" in which she stated, "If I am ever a victim of an unjust legal discrepancy that infringes my human rights and leads to my untimely and unnecessary agonising death I want every man, woman and child on the streets immediately demanding that it never, ever be allowed to happen again." The Life Institute in Ireland has accused what it called "abortion campaigners" of exploiting Halappanavar's death to further the pro-choice agenda. Michael Kelly of The Catholic World Report rejects claims that Ireland's abortion laws led to Halappanavar's death, writing that "medical experts and bioethicists have been quick to express their view that Ireland's ban on abortion had nothing to do with Mrs. Halappanavar’s death. They insist that guidelines from the Irish Medical Council are perfectly clear that pregnant women must be given all necessary medical treatment." Father Shenan J. Boquet, president of Human Life International, said that there was no evidence to indicate that "a Catholic ethos" prevented responsible treatment of the mother, and called news reports that that was the case "demonizing the church's position on abortion". He described the debate resulting from the event as "activism masquerading as compassion and moral outrage". There were protests outside the Irish embassies in London, Berlin and Brussels. In India, the then-Indian Minister for External Affairs, Salman Khurshid, summoned the Indian ambassador to Ireland, Debashish Chakravarti, to India for deliberations over the issue. Chakravarti later met Eamon Gilmore, Ireland's Tánaiste (deputy prime minister) and foreign minister, and promised to keep Halappanavar's husband up to date with the government's response. Rajeev Chandrasekhar, an independent member of the Rajya Sabha (the upper house of the Parliament of India) said, "The death of Savita Halappanavar should be pursued by family and Govt. of India as a case of human rights violation and murder. Instead of simply protesting, cases should be filed against the Govt. of Ireland and its leadership at the International Court of justice and United Nations Commission for Human Rights (UNHCR). This should move beyond protesting to where people are brought to account!" In an editorial on 17 November 2012, The Times of India said, "There appears to be a tendency to view this issue in terms of India versus Ireland or the Catholic faith against other religions. To fall prey to such tendencies would be a serious mistake and a great disservice to the memory of Savita. ... Adding a nationalist or communal tone to the debate detracts from the merit of argument rather than enhancing it." Amnesty International states that Halappanavar's death "illustrates [the] gap in Irish law" and asked the government of Ireland to change the law on abortion "in line with international human rights laws." The executive director of Amnesty International in Ireland, Colm O'Gorman, said that "successive Irish Governments have failed in their duty to provide necessary clarity on how this right is protected and vindicated, leaving women in Ireland in a very vulnerable position." On 19 November 2012, the HSE named Professor Sir Sabaratnam Arulkumaran to head a seven-member panel looking into the case. Arulkumaran is the head of obstetrics and gynaecology at St George's Hospital Medical School and is president-elect of the International Federation of Gynaecology and Obstetrics. The panel sought to uncover all the facts and "to identify any safety issues arising in this case". On 20 November 2012, three members of the panel were asked to step down when Savita Halappanavar's husband, Praveen Halappanavar, indicated that he would not cooperate with the panel due to their connections as consultants to University Hospital. Arulkumaran requested a meeting with Mr. Halappanavar. On 21 November, the Irish Independent reported that Arulkumaran was being accused of being "pro-abortion" and promoting a "liberal" approach to abortion because of papers that he has published. The report indicates the first key causal factor was inadequate assessment and monitoring. This would have allowed medical staff to recognise and respond to indicators that the infection was causing a deterioration in Savita's condition. Additionally, staff failed to devise a plan of care recognising that (1) the infection was the most likely cause of the patient's miscarriage, and (2) with increase in time following admission, and the rupture of the patient's membranes, the risk of infection and sepsis increases. Rupture of membranes may be caused by infection and vomiting indicates that the patient was unwell increasing the possibility of infection becoming systemic to causing sepsis. At interview, clinicians indicated that their management decisions were guided by the Royal College of Obstetricians and Gynaecologists Green-top guidelines for the Management of Preterm Pre-labour Rupture of the Membranes (RCOG Green-top Guideline No.44 2006 amended 2010). The patient was commenced on erythromycin at 22.00hrs on the 22nd of October. Erythromycin is indicated for use prophylactically in preterm pre-labour rupture of the membranes in the absence of signs such as a faster pulse or lower blood pressure or raised temperature (Green-top Guidelines No 44 (2006 with amendment Oct 2010)). Erythromycin has also been shown to delay delivery which is beneficial in the management of preterm pre-labour rupture of the membranes but not in cases of inevitable miscarriage. However, in cases of preterm pre-labour rupture of the membranes where signs of sepsis occur, best practice guidelines promote that delivery is expedited. The appropriate management of spontaneous rupture of the membranes in cases of inevitable miscarriage where infection is a possible underlying cause is somewhat different to the appropriate management of Preterm Pre-labour Rupture of the Membranes where the incidence of infection at presentation is lower and the survival of the fetus is more likely. There are no accepted clear local, national or international guidelines on the management of inevitable early second trimester miscarriage (i.e. less than 24 weeks) including the management of miscarriage where there is prolonged rupture of the membranes. The reason for the absence of such guidelines may be that clinical practice in other jurisdictions would have led to an early termination of pregnancy in equivalent clinical circumstances. It is recommended that such guidelines be developed for such patients as a matter of urgency and they should be explicit in the guidance given as to when one should offer termination based on symptoms and signs of infection implying increasing health risk to the mother which may even threaten her life. Introduction of mandatory induction and education on early recognition, monitoring and management of infection and sepsis. This includes severe sepsis and septic shock. Development and implementation of national guidelines relating to infection and pregnancy, in addition to multidisciplinary educational programmes to improve care in such cases. In particular, there needs to be audited compliance with guidelines on management of infection, sepsis, and suspected sepsis in cases of inevitable miscarriage of an early second trimester pregnancy. This includes when there is a prolonged rupture of membranes, and increasing time from this point increases the risk to the mother. Clear statement of the legal context in which clinical professional judgement can be exercised in the best medical welfare interests of patients. The Oireachtas should consider the law including any necessary constitutional change and related administrative, legal and clinical guidelines in relation to the management of inevitable miscarriage in the early second trimester of a pregnancy. In 2017, Arulkumaran commented that a significant contributing factor to her death was Ireland's restrictive abortion laws. The Health Information and Quality Authority (HIQA) published a report into the incident on 9 October 2013. It found "following the rupture of her membranes, four-hourly observations including temperature, heart rate, respiration and blood pressure did not appear to have been carried out at the required intervals", noting "that though UHG [University Hospital Galway] had a guideline in place for the management of suspected sepsis and sepsis in obstetric care, the clinical governance arrangements were “not robust enough to ensure adherence to this guideline". Partly in response to the protest movement after the death of Savita Halappanavar, the Irish government introduced the Protection of Life During Pregnancy Act 2013. Having passed both Houses of the Oireachtas in July 2013, it was signed into law on 30 July by Michael D. Higgins, the President of Ireland. On 20 September 2013, Praveen Halappanavar's solicitor served legal proceedings against Galway University Hospital and separately against Doctor Katherine Astbury. The proceedings claim that Halappanavar's constitutional right to life had been breached and allege 30 issues of medical negligence. By May 2014, Praveen Halappanavar had emigrated to the United States. On 10 March 2016, Praveen Halappanavar settled the case with the HSE, after the HSE agreed to a confidential, six-figure cash settlement. The issue of abortion law in Ireland continued to be an issue for political debate. In 2016-17 the Irish government convened a Citizens' Assembly to advise about the Eighth Amendment. On 20 May 2018, the parents of Halappanavar called for a Yes vote in Ireland's referendum on the repeal of the Eighth Amendment with her father saying, "I hope the people of Ireland will vote yes for abortion, for the ladies of Ireland and the people of Ireland. My daughter, she lost her life because of this abortion law, because of the diagnosis, and she could not have an abortion. She died." On 25 of May 2018, the people of Ireland voted Yes to repeal the Eighth Amendment by a margin of 2 to 1. On 30 September 2018, an open letter by Emma Watson to Halappanavar was published in Porter magazine. Arulkumaran, Sabaratnam; Cora McCaughan; Cathriona Molloy; Brian Marsh; Geraldine Keohane; James Walker; Mary Horgan (13 June 2013). "Investigation of Incident 50278 from time of patient's self referral to hospital on the 21st of October 2012 to the patient's death on the 28th of October, 2012" (PDF). Health Service Executive. Archived from the original (PDF) on 18 August 2013. Retrieved 14 June 2013. "Investigation into the safety, quality and standards of services provided by the Health Service Executive to patients, including pregnant women, at risk of clinical deterioration, including those provided in University Hospital Galway, and as reflected in the care and treatment provided to Savita Halappanavar" (PDF). Health Information and Quality Authority. 7 October 2013. Retrieved 9 October 2013. ^ Specia, Megan (27 May 2018). "How Savita Halappanavar's Death Spurred Ireland's Abortion Rights Campaign". The New York Times. ISSN 0362-4331. Retrieved 27 February 2019. ^ "Emma Watson writes open letter to woman who died after being denied abortion in Ireland". The Independent. 1 October 2018. Retrieved 27 February 2019. ^ eBuildWebSolutions.com. "Hayes Solicitors, Solicitors in Dublin, Ireland - Law Firm. The Protection of Life During Pregnancy Act 2013". hayes-solicitors.ie. Retrieved 28 February 2019. ^ Burrell, Celia; Griffiths, Malcolm (2017). "Changes in the abortion legislation in Ireland: The Protection of Life During Pregnancy Act 2013". BJOG: An International Journal of Obstetrics & Gynaecology. 124 (8): 1217. doi:10.1111/1471-0528.14459. ISSN 1471-0528. PMID 28632355. ^ McDonald, Henry; Graham-Harrison, Emma; Baker, Sinead (26 May 2018). "Ireland votes by landslide to legalise abortion". The Guardian. ISSN 0261-3077. Retrieved 28 February 2019. ^ a b c d e f g h i j k l m n o External Independent Committee (June 2013). "Investigation of Incident 50278 from time of patient's self referral to hospital on the 21st of October 2012 to the patient's death on the 28th of October, 2012" (PDF). HSE. ^ "HSE publishes Report of the Investigation into the death of Ms. Savita Halappanavar" (Press release). HSE. 13 June 2013. ^ "Midwife confirms she told Savita Halappanavar Ireland a 'Catholic country'". RTÉ News. 11 April 2013. ^ O'Carroll, Sinead (19 April 2013). "Savita inquest: The coroner's nine recommendations endorsed by the jury". The Journal.ie. ^ a b c "Investigation into the safety, quality and standards of services provided by the Health Service Executive to patients, including pregnant women, at risk of clinical deterioration, including those provided in University Hospital Galway, and as reflected in the care and treatment provided to Savita Halappanavar" (PDF). Health Information and Quality Authority. 7 October 2013. "Press release: Patient Safety Investigation Report published by Health Information and Quality Authority (Savita Halappanavar)" (Press release). HIQA. 9 October 2013. ^ "Most TDs will back legislation on X Case". Irish Independent. 18 November 2012. ^ White, Victoria (31 October 2013). "Savita's death is not about abortion, it is about medical negligence Thursday". ^ "Galway Pro Choice Were Approached by Savita's Friends". Galway Pro-Choice. 21 November 2012. Archived from the original on 11 February 2015. Retrieved 11 February 2015. ^ Holland, Kitty (2013). Savita: The Tragedy that Shook a Nation. Transworld Ireland. p. 70. ISBN 978-1848271838. ^ "Pro-choice activists got tip-off on tragic death". Irish Independent. ^ a b Mullally, Una (17 November 2012). "Savita story resonates around the world". The Irish Times. Retrieved 17 November 2012. ^ "'Over 2,000′ attend sit-down protest for Halappanavar at Leinster House". The Journal. TheJournal.ie. 14 November 2012. ^ a b c "Woman dies after abortion request 'refused' at Galway hospital". BBC News. 14 November 2012. ^ "Taoiseach: Expert group delivered abortion report last night". Breaking News.ie. 14 November 2012. Retrieved 9 June 2016. ^ McDonald, Henry (16 November 2012). "Savita Halappanavar 'would still be alive if she had been treated in India'". The Guardian. London. ^ Rudd, Andy (14 November 2012). "Savita Halappanavar: Husband claims pregnant wife would still be alive if doctors hadn't 'refused' her an abortion, however the actual Medical Report states that this was not the case". The Mirror. ^ a b "Husband: Ireland hospital denied Savita Halappanavar life saving abortion because it is a "Catholic country"". CBS News. CBS News. 14 November 2012. ^ "HSE still finalising details of Savita Halappanavar inquiry". The Irish Times. 16 November 2012. Retrieved 17 November 2012. 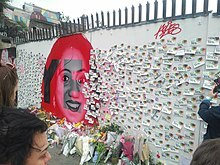 ^ "Thousands attend Savita vigils around the country". The Irish Times. 17 November 2012. Retrieved 17 November 2012. ^ "Gardaí assisting coroner in Savita Halappanavar case". The Irish Times. 17 November 2012. Retrieved 17 November 2012. ^ "Treatment that risks foetus can be 'ethically permissible' - Catholic bishops". RTÉ News. 19 November 2012. ^ Eilis O'Hanlon: (18 November 2012). "Eilis O'Hanlon: This Government must be the one to face facts". Irish Independent. Retrieved 21 November 2012. ^ Noel Whelan (17 November 2012). "Decisive change in the abortion debate". The Irish Times. Retrieved 21 November 2012. ^ Humphreys, Joe (16 November 2012). "Catholic ethos suggestion dismissed". The Irish Times. Retrieved 20 November 2012. ^ "We absolutely need legislation - Rotunda Master Dr Sam Coulter-Smith". RTÉ. 15 November 2012. Archived from the original on 28 November 2012. ^ "Rotunda head: No confusion". Irish Examiner. 15 November 2012. ^ "Maternity hospital chief: Women and doctors need protection". Irish Examiner. 15 November 2012. Retrieved 20 November 2012. ^ Dalby, Douglas (22 November 2012). "Inquiry Sought in Death in Ireland After Abortion Was Denied". The New York Times. ^ "Dr James Clair". Mercy University Hospital, Cork, Ireland. Archived from the original on 29 October 2012. Retrieved 23 November 2012. ^ Dr J Clair. "Savita's death may have been due to resistant bacteria strain". Irish Examiner. Retrieved 21 November 2012. ^ "Enda Kenny wants 'all the facts' before Savita action -". ITV News. 17 November 2012. Retrieved 18 November 2012. ^ "Reilly: No evidence Catholic ethos prevented Savita's life from being saved". Irish Examiner. 14 November 2012. Retrieved 23 November 2012. ^ "Video: Probe must stand up to international scrutiny - Reilly". Independent.ie. 15 November 2012. Retrieved 17 November 2012. ^ "Too soon to commit on abortion legislation, says Reilly". The Irish Times. 16 November 2012. Archived from the original on 27 January 2013. Retrieved 23 November 2012. ^ Murphy, Cormac (15 November 2012). "Law on X Case would not have saved Savita, says Martin". Herald.ie. Retrieved 17 November 2012. ^ "Ireland's Historic Abortion Shift and the Tragedy That Shadowed It". TIME. 19 December 2012. Retrieved 20 December 2012. ^ "'Termination would have saved Savita' - heartbroken husband". The Independent. 15 November 2012. Retrieved 23 November 2012. ^ Reilly, Jerome (18 November 2012). "Pro-choice activists got tip-off on tragic death". The Independent. Retrieved 23 November 2012. ^ Kate Smurthwaite (15 November 2012). "Yes, Savita Halappanavar's Death IS a Political Issue". Huffington Post. Retrieved 19 November 2012. ^ Kenny, Ciara (15 November 2012). "Lobby group accused of exploiting death". The Irish Times. Retrieved 17 November 2012. ^ "After Tragedy, Irish Abortion Laws Come Under Fire". The Catholic World Report. 15 November 2012. Retrieved 19 November 2012. ^ Boquet, Shenan J. (15 November 2012). "Human Life International Statement on the Death of Savita Halappanavar in Ireland". Catholic Online. Archived from the original on 2 January 2014. Retrieved 16 November 2012. ^ "Up to 70 people also protested outside the Irish embassy in Berlin tonight". The Irish Times. 21 November 2012. Retrieved 29 November 2012. ^ "Vigil for Savita and Protest at Ireland's Abortion ban, Irish Embassy, Berlin". Midi Grrrl. 21 November 2012. Retrieved 29 November 2012. ^ "Last night in Brussels". Broadsheet.ie. 22 November 2012. Retrieved 12 February 2013. ^ "Savita death case: MEA summons Irish envoy after row over abortion, Updated". IBN Live. CNN-IBN, IBN Live. 16 November 2012. ^ "Salman Khurshid closely following developments in Savita Halappanavar death case". The Times of India. 18 November 2012. Retrieved 19 November 2012. ^ "State take up her cause: CM Shettar Says Humanity Should Precede Legality". The Times of India. 17 November 2012. Retrieved 23 November 2012. ^ "Savita's kin being consulted". The Times of India. 17 November 2012. Retrieved 19 November 2012. ^ a b Press Trust of India (17 November 2012). "Irish Government must clarify on abortion issue: Amnesty". The Times of India. Retrieved 17 November 2012. ^ "HSE unveils membership of Halappanavar inquiry team". The Irish Times. 19 November 2012. pp. direct quote is from the video, at approx 1 min. Retrieved 20 November 2012. ^ "HSE announces Savita inquiry team replacements". Irish Times. 21 November 2012. Retrieved 22 November 2012. ^ O'Regan, Eilish; Harkin, Greg (21 November 2012). "Probe into Savita shambles goes from bad to worse". Irish Independent. Retrieved 21 November 2012. ^ "Author of Savita Halappanavar report says 8th Amendment contributed to her death". BreakingNews.ie. 24 April 2018. ^ "Damning Savita report details litany of hospital care failures". TheJournal.ie. 9 October 2013. ^ Daly, Susan (9 October 2013). "This shocking graph shows 13 "missed opportunities" in treatment of Savita". TheJournal.ie. Retrieved 9 October 2013. ^ Crawford, Caroline (22 September 2013). "Savita's husband to sue her doctor for negligence". Irish Independent. Retrieved 26 September 2013. ^ Holland, Kitty (21 September 2013). "Halappanavar begins action against hospital, doctor". The Irish Times. Retrieved 26 September 2013. ^ "Tragic Savita's husband quits Ireland for the US". Irish Independent. 2 May 2014. ^ Carolan, Mary (10 March 2016). "Savita Halappanavar : Husband's action for damages settled". The Irish Times. Retrieved 13 March 2016. ^ Sheehan, Maeve (13 March 2016). "Savita Halappanavar case settled for six figures". Irish Independent. Retrieved 13 March 2016. ^ "Settlement reportedly made over Halappanavar case". RTÉ. 9 March 2016. ^ Barr, Sabrina (30 September 2018). "EMMA WATSON PENS POWERFUL LETTER TO SAVITA HALAPPANAVAR, WHO DIED AFTER BEING DENIED AN ABORTION IN IRELAND". Retrieved 1 October 2018. "Death of Savita Halappanavar collected news and commentary". The Guardian.